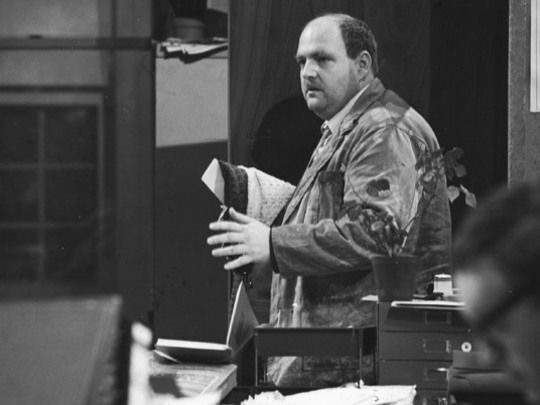 Ian Watkin in the television adaptation of Roger Hall’s stage play Glide Time, 1979. 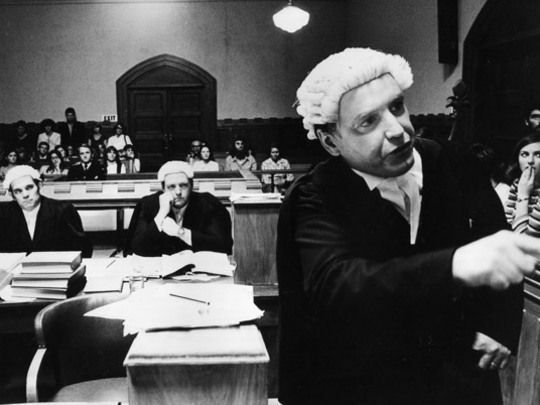 Ian Watkin (centre) and Grant Tilly as David Morris (front right) in Beyond Reasonable Doubt. 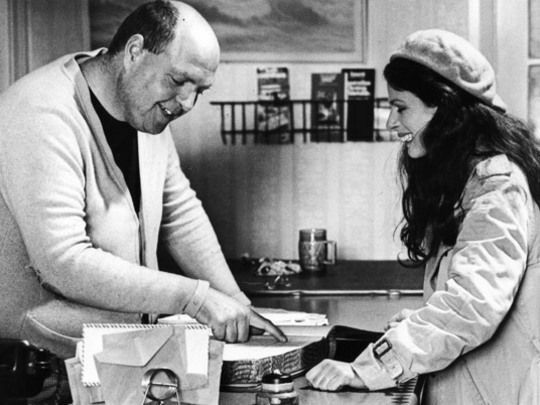 A robber (Ian Watkin, right) realises his partner (Norman Forsey) may no longer be on his side in 1976 adventure series Hunter's Gold. 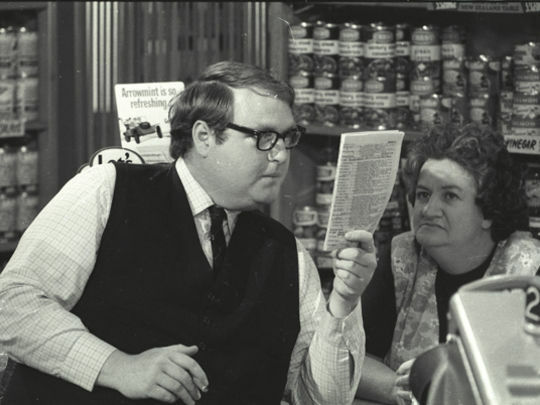 Phyllis Telford (Pat Evison) and Dr Rhyder (Ian Watkin) examine the racing form. 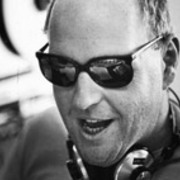 Kindly supplied by TVNZ Archives. 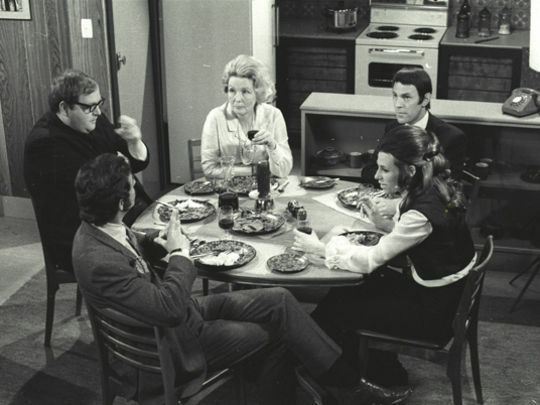 A dinner scene from Pukemanu. Ian Watkin plays Dr Rhyder, top left. 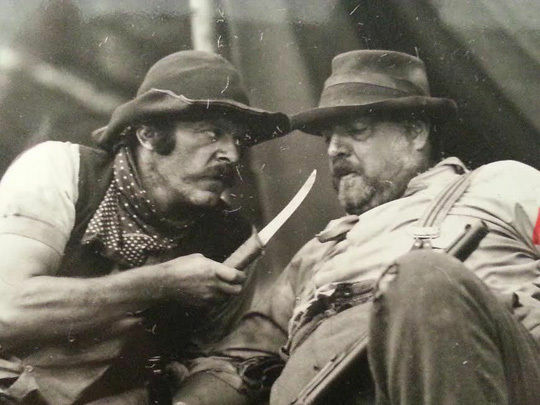 Ian Watkin and Darien Takle in a scene from The Lost Tribe.